You will find yourself in a huge labyrinth that looks like a square from above with many paths in different directions. Any complex or easy labyrinth has an exit and in your case you need to find it. But what if the labyrinth changes and you can never remember the right path? So this feature is perfectly compatible with multiplayer: invite other players to this labyrinth and try to determine the best traveler who will be able to get out of it as quickly as possible. 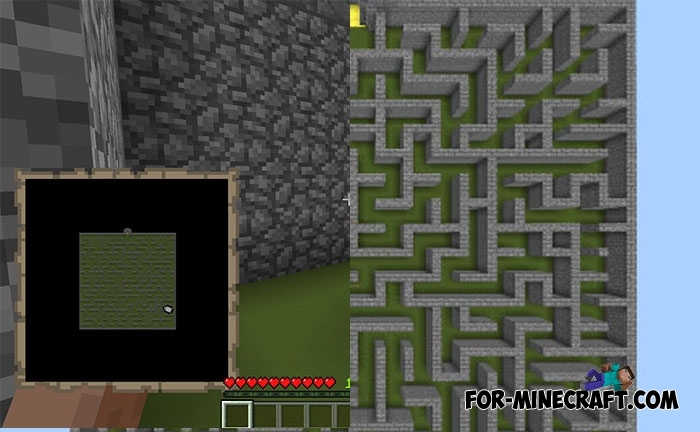 Like any other map from SG, this is crammed with mechanisms, so do not change anything there, otherwise the labyrinth will stop working correctly. The map works on MCPE 1.7 as well as on version 1.5.